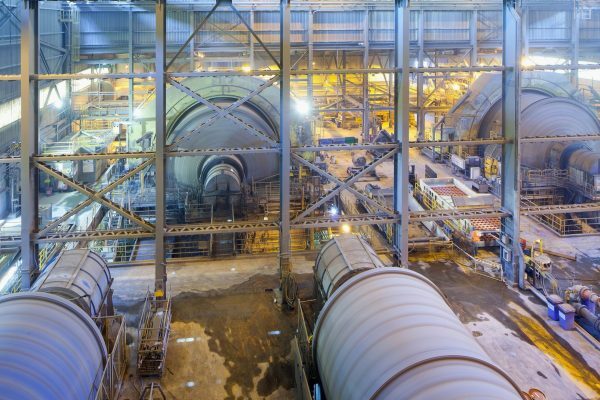 In a tough economic climate, South Africa’s mining, cement and other industrial sector players are facing numerous challenges that have put them under pressure to maintain profitability by cutting costs. Rather than looking to cut costs by opting to use cheaper maintenance products, companies need to focus on protecting and managing their equipment more carefully, particularly in harsh operating environments, such as mines and cement factories. Open-gear lubricants and greases distributed by Lubrication Engineers (LE) Incorporated protect against machine failures and improve the performance and longevity of important equipment. Callum Ford, national marketing manager at LE says they’ve experienced cases where mines have attempted to cut costs by using cheaper lubricants, but have found that it is not profitable. Ford says these customers have returned to LE products due to their quality and contribution to greater equipment longevity. “Given the abrasive nature of the requirements in these two industries, the gears used in mining and cement production experience high wear and typically have to be replaced often,” he says. “The resultant downtime, loss of productivity, and the price and transportation of replacement parts, makes it worth investing in the right lubrication solution. It can drastically cut down on the wear and tear, especially on large open gears that have to perform at a high intensity in challenging conditions. Ford explains that using high-quality lubricants can also reduce the volume of lubrication products that a plant or mine needs to use, meaning that operating costs decrease over the long run when using higher-grade products. LE also offers its clients support so that they are equipped to use its gear lubricants and greases to maximum efficiency, giving mines and cement plants the greatest value possible for their money. LE technicians analyse sites to ensure the correct lubricants are being used, and that they are applied properly to achieve good equipment performance, which in turn reduces electricity consumption and wastage. “For mines and cement factories looking to cut costs, the answer may not be to use cheaper products, but rather to find quality equipment maintenance products that require lower volumes to achieve their purpose and increase the longevity of machinery,” Ford concludes. Lubrication Engineers (LE) South Africa represents the LE brand in South Africa, Botswana, Namibia, Mozambique, Zimbabwe and Zambia. LE hold the rights to Southern Africa on the LE brand, recognised internationally as a specialist in lubrication. LE provides high performance, heavy-duty, quality lubricants for virtually every industry and application, as well as expert technical back-up and support. More information from Callum Ford, Tel: 011 464 1735 /email: callum@lubricationengineers.co.za / www.lubricationengineers.co.za.